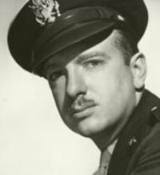 Walter Leland Cronkite, Jr. was born November 4, 1916 in St Joseph, Missouri, the only child of Walter Leland Cronkite, Sr. and Helen Fritsche Cronkite. Walter grew up in Kansas City, Missouri and Houston, Texas. He attended the University of Texas but dropped out to take a news reporting position with the Houston Post. 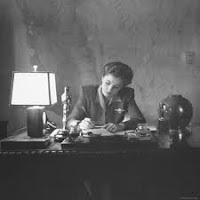 During World War II, he was an overseas correspondent for U.P. His style caught the ear of radio news legend, Edward R. Murrow. 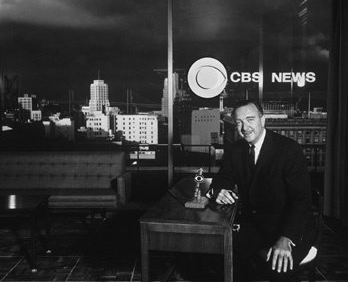 Murrow offered Cronkite an opportunity to move to CBS. Cronkite considered the offer but the United Press countered with the position of foreign correspondent, reopening bureaus in Amsterdam, Brussels and Moscow. 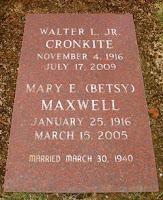 Cronkite turned Murrow down. It wasn’t until 1950 that he joined CBS as a television news correspondent and host of “The Morning Show, “ a position he shared with a lion puppet named Charlemagne. 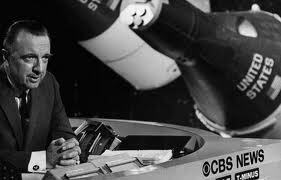 He became the anchor of the 15-minute “CBS Evening News” in April 1962. In September 1963, the news expanded to thirty minutes, five nights a week. 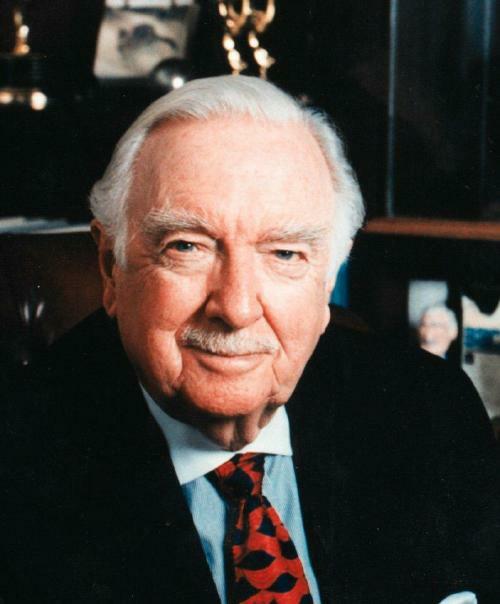 Cronkite served as anchor and managing editor of the “CBS Evening News with Walter Cronkite” for 19 years. 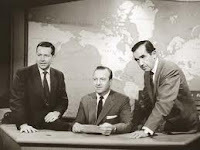 From 1967 to his retirement in 1981, the “CBS Evening News” was the ratings leader. Reading the announcement, Cronkite paused, put his glasses back on and swallowed hard in order to maintain his composure. That moment sticks in the mind, just as Roosevelt’s announcement of the bombing of Pearl Harbor did for the generation before. 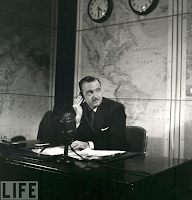 Cronkite also reported on the Vietnam War. Returning from Vietnam after the TET Offensive in 1968, Cronkite told his viewers, "It seems now more certain than ever that the bloody experience of Vietnam is a stalemate." 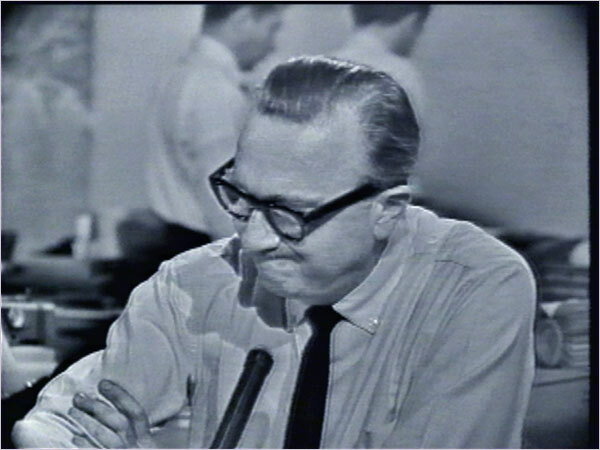 When President Lyndon Johnson heard what Cronkite had said he reportedly commented, “If I’ve lost Cronkite, I’ve lost Middle America.” Just a few weeks later, Johnson announced that he would not run for reelection. 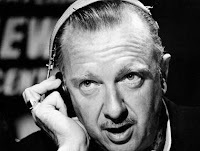 Cronkite is also well remembered for his 27 hours of nonstop reporting during the Apollo 11 moon landing where he exclaimed those immortal words, “Go, Baby, Go!,” when the rocket was launched. A 1972 poll announced that he was the ‘most trusted man in America,” besting the President, Vice President, members of Congress and all other journalists. 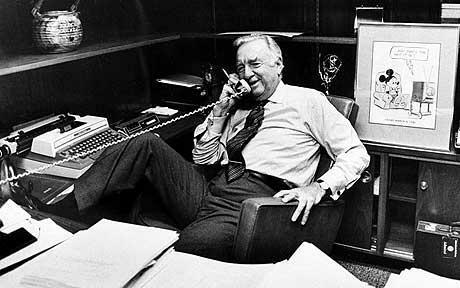 On March 6, 1981, Cronkite stepped down from the CBS anchor desk. His leaving was due to a mandatory age retirement policy that CBS held firm to. 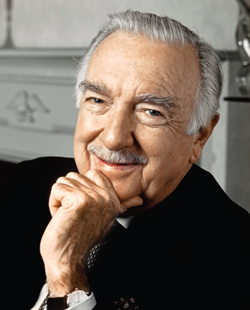 After his retirement, Cronkite went on to host numerous television specials. 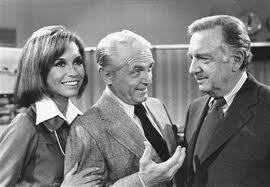 He appeared on several regular television shows including two news-oriented comedies, the Mary Tyler Moore Show and Murphy Brown. He was a regular on the PBS, Discovery, and A & E networks. 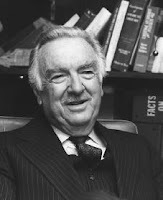 Cronkite always considered himself a working journalist. His main philosophy towards news reporting was to get the story “fast, accurate and unbiased.” His autobiography “A Reporter’s Life” was a best seller when it was released in 1996. Cronkite died in New York City on July 17, 2009. He was 92 years old. 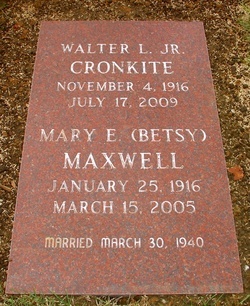 He was buried at Mount Moriah Cemetery in Kansas City, Missouri, next to Betsey, his wife of 65 years. As President Barrack Obama said in a statement following Cronkite’s death, "For decades, Walter Cronkite was the most trusted voice in America..…in an industry of icons, Walter set the standard by which all others have been judged. He was someone we could trust to guide us through the most important issues of the day; a voice of certainty in an uncertain world. He was family. He invited us to believe in him, and he never let us down. This country has lost an icon and a dear friend, and he will be truly missed." And thank you for setting the standard for fair, impartial reporting, the likes of which may never be seen again.